This was bought as a present as they have played on this course nice thick towelling. 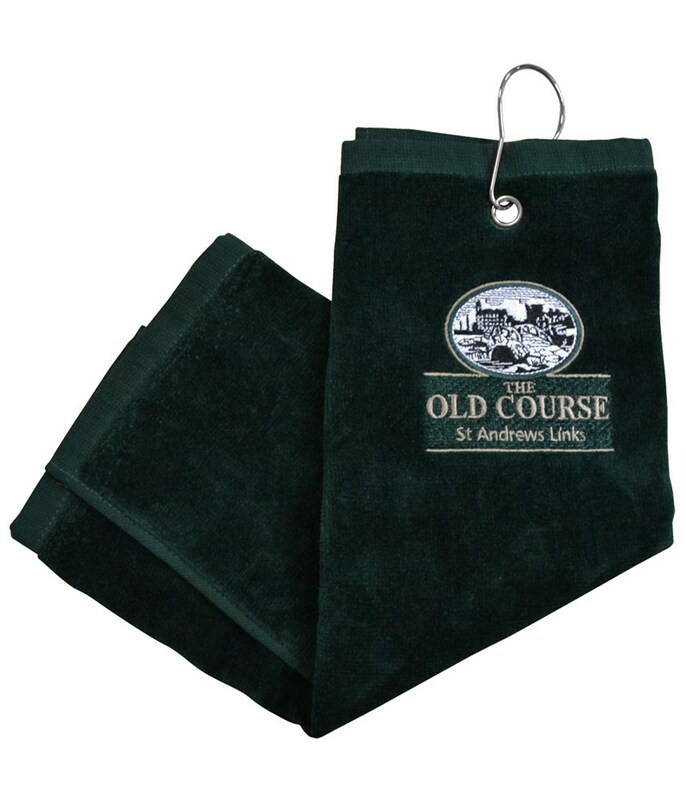 Not only should a golf towel be an essential part of your golf equipment but it can also remind you about great times you had at the Old Course. The St Andrews 3 Fold towel easily attaches to your golf bag with the attached loop and the embroidered Old Course logo looks fantastic. The 3 fold design allows you to section off the towel so that you are able to clean your clubs, dry your hands and wipe your grips to ensure great grip and strike. 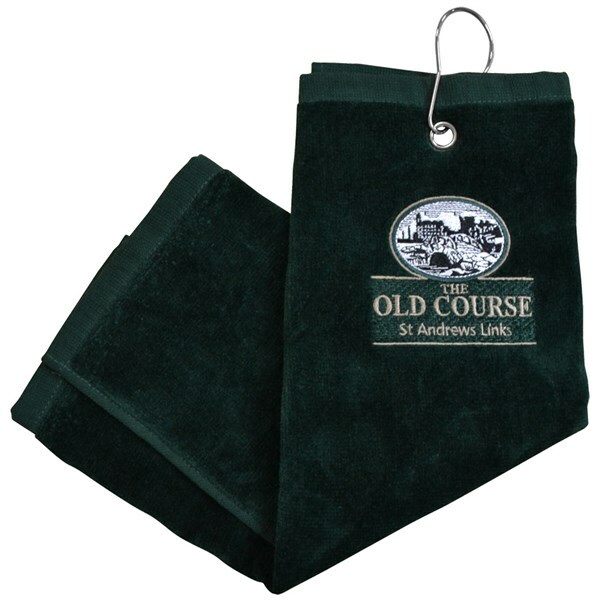 This 3 fold golf towel is the perfect addition to your on course accessories. A handy loop at the top enables you to fix to your bag. Embroidered with the Old Course logo.